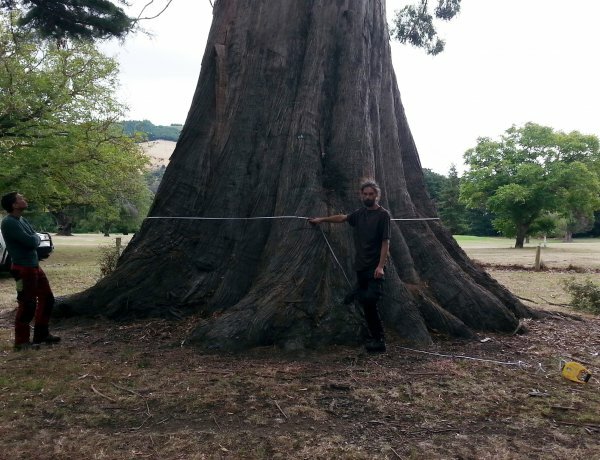 The tallest and largest of several gums located on the main drive into Orton Bradley Park (Johno Smith, 2015). See record CR/G1279 for more information about Orton Bradley Park. Taken at 1.4m from bottom of trunk closest to road. 15 Feb 2015 Smith, J.E., Harris, T. Bucanan, M. & Cadwallader, B.